All of you know that I am a big Doctor Who fan and I love a geeky tee shirt! A while ago my friend Crystal introduced me to the designs of Karen Hallion. You may be familiar with her work on the shirts with Belle and Ariel going into the Tardis. Well, Wednesday 2 of her brand new shirts are on sale at TeeFury! 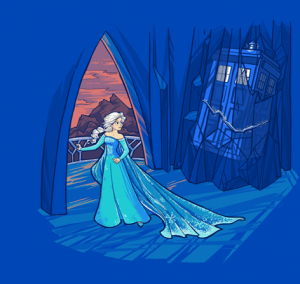 These are both Frozen/Doctor Who mash ups with the 2 sisters. I don’t think these have been sold any where else yet! I don’t know if they will have them on sale at all past the 24 hour special so run and get them!!! You all know how I love geeky clothes!! I mean, I have a geek t-shirt feature for a reason;). So I was stoked to see the ThinkGeek has 30% off apparel coupon right now. It is only good until 10/12 so you have to get in and use it quick. Use the code FALLREFRESH to receive the 30% off apparel discount. 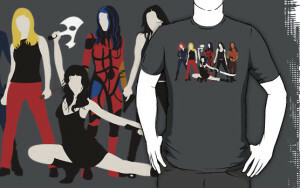 With Halloween coming you could use it on a Costume t-shirt or on a variety of other great geeky clothes! This week is the theme of our geek t-shirt round up is the fabulous Avengers! First we had the awesome movie and now Agents of SHIELD have started so it seemed timely. 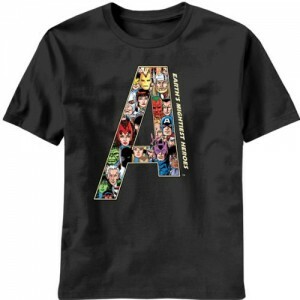 This first shirt is an homage to the Avengers comic books and is over at Amazon! You know I was familiar with Loki well before the Avengers movie but I, like many fan girls, may have fallen for him in the movie;). 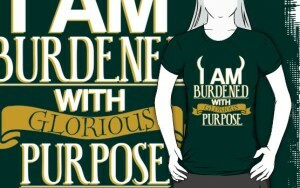 So I love this Glorious Purpose shirt from Red Bubble! I mean don’t we all relate;)? It is offered in many types of styles and colors too! You have to love this super comfy Captain America women’s tee! And to close out this round up here is a super geeky Iron Man formula tee! It is even on sale over at Think Geek right now! There are a bazillion Avengers tees but there are just a few I love! Which one is your favorite? I can’t be alone, right? Books can really make this girl happy;). Right now my husband and I are finishing up the audio version of the first book of The Hunger Games and it got me thinking about how much I miss just sitting and reading! Ah, books… is there anything geekier or nerdier? I think not! So novels are today’s theme!!! 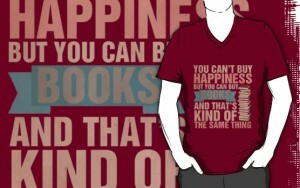 Books=Happiness is a great shirt at RedBubble! You can get this one in different styles and colors! Our first book is repped with a fantastic Wrinkle in Time shirt I found at ModCloth! I also found this great Alice in Wonderland tee at ModCloth too!!! To wrap up a novel tee gathering we had to have a little Harry Potter;). 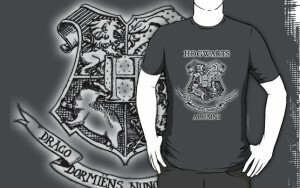 Here is a great Hogwarts Alumni tee from RedBubble! Which means there are a ton of options! What are your favorite books? What are your favorite book themed tees? Check these out and pick up one or two (and clicking through this links will help support this site)!!! Later this month I am going to the fabulous Type A Parent Conference. The closing party is going to be British themed and there is an encouragement to dress up! I quickly realized that not only have I never done cos play that I am cheap and only taking a carry on;). That led me to this week’s theme! For the COS play challenged there is always the costume tee! You might even get to wear it when you aren’t trying to specifically dress up! 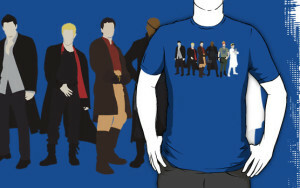 So here is a bunch of Doctor Who costume tees from Think Geek!!! Starting with the TARDIS, of course! Pair the 10th Doctor tee with some Converse sneakers, spiky hair and black frames and you have a decent little costume there! Then there is the 11th Doctor’s tee! Maybe a fez or a cowboy hat will finish this look off? And it isn’t all about The Doctor. Check out Captain Jack! If you are an old school Doctor fan, go with the 4th Doctor’s Tee! This is especially great if you have some great curly hair! If you are heading over to pick up any of these fabulous tees (or anything else) make sure to use the coupon code to get a Buy 1 get 1 50% off deal before the 11th!!! What is geekier than Bacon in element symbols;)? So I couldn’t let the International Bacon Day to go completely unmentioned, could I? While it was celebrated on August 31st I thought it would still be timely to check out some of the great bacon geek shirts that are out there! And I wanted to start with this great science bacon cross over! Ok, I admit it. I am a sucker for a great elemental t-shirt. And this Periodic Bacon shirt comes in both babydoll and standard cuts from ThinkGeek! Ah, a little Shakespeare should bring some class to this subject. 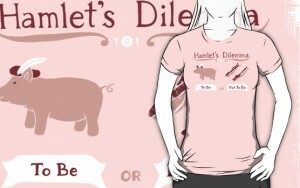 Hamlet’s Dilemma comes in a variety of colors and styles over at RedBubble. And really, is that a choice many of us could make;)? Finally Darth found a very attractive marketing ploy to get us over to the dark side in this shirt! If only my hair didn’t do perfect Princess Leia cinnamon rolls and if I didn’t have mad bacon skills of my own, I might have considered it. Bacon wrapped turkey anyone;)? Just prove my skills;). And just in case you need some more bacon options, ThinkGeek has got you! ThinkGeek is having another one of their notorious events online! This time it is Timmy’s Surprise party! And if you use the code SURPRISEPARTY to receive $25 off a $50 purchase off the page of 165 items! 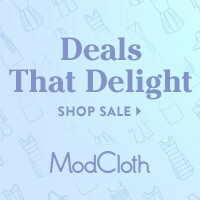 They have a lot of great products included in this sale. Everything from Star Trek bibs, phone cases, t shirts and robot family decals. Make sure that you check it out because the coupon expires August 28, 2013! Lets be honest. No one has snark or sarcasm like geeks and nerds! So who wouldn’t want a shirt to show it off? I would say the first step would be to enroll in the The Sarcasm Foundation! This shirt comes in a variety of colors and male/female styles. I love this Oh, Crop shirt! And it perfectly encapsulates my eye rolling annoyance at image editing! 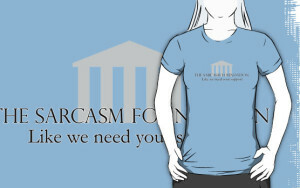 I absolutely love this I know More Than You shirt but honestly, I would never wear it;). I love the parody and sarcasm of it! 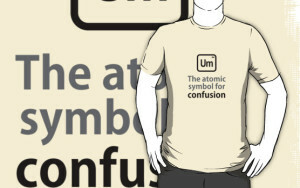 Um is the symbol for confusion. Need I really say more? 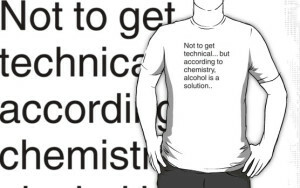 And lastly… It may not be my place to straighten you out but according to chemistry alcohol is a solution;). This is just too cute! And that brings my sarcasm to an end. Well, for today at least;). So what kind of geek t-shirts would you like to see next week? Let me know in the comments!!! 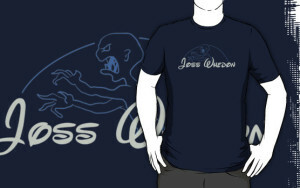 What would a feature like Geek T-Shirt Tuesday be without a week for Joss Whedon;)? 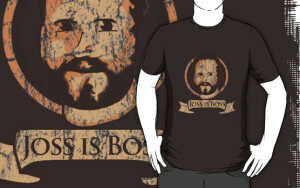 This week we are looking at t-shirts that are all about the man himself (the various shows will have their own weeks;). We kick this round up off with this fabulous Mutant Disney shirt that comes in a variety of styles and colors. Simple and understated, you can wear is just about any where. 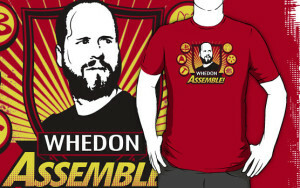 I love this Whedon Assemble shirt! It is actually the first of these shirts I saw and what gave me the inspiration to do this round up. A nice capsule of the many reasons we admire the mind of Whedon. Whedon is known for his fabulously strong female characters. Women of the Whedonverse is great homage to all those awesome female characters! I can’t wait to see what great women are going to arise out of SHIELD and Avengers 2. As with many of the Red Bubble shirts you can go with a variety of styles and colors, including a variety of girlie options. Whedon’s men are complex, flawed and hilarious (in one form or another). Men of Whedonverse is a great collection of characters. Joss is Boss. Need I say more? I think the studios need to learn this lesson! And bring back Firefly;). Just saying;). 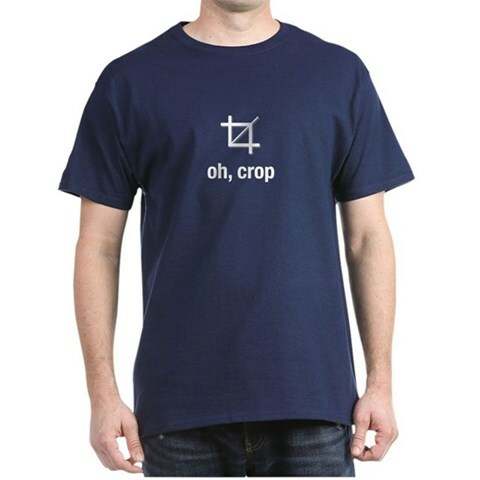 Ok, that brings this week’s Geek T-Shirt Tuesday to a close! Are you a Whedon fan? What is his favorite creation? What should I focus on next week? 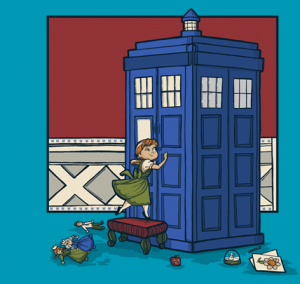 My best friend, Sara, is the inspiration for this week’s Geek T-Shirt Tuesday post! She has not been able to really get into either of my previous weeks’ posts because while she is geeky it is just in math and science and not in any movie/tv stuff(she has other redeeming qualities;). So this week is for her starting with this fabulous Science Club babydoll tee. They also have a men’s/standard tee version. Gotta love this Portal inspired tee! When I read it I even use the GLaDOS voice when I read it to myself;). To me this Pi by Numbers tee is the beginning and coolest of the math based t-shirts and a must for all collectors. Once again, there is a male version but I am partial to this babydoll. 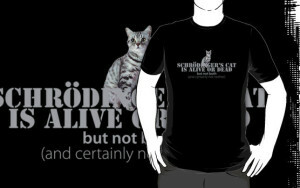 If you are feeling ambitious and want to start a discussion (or anger my husband) sport this Schrödinger’s Cat Is Alive Or Dead t-shirt. It is a simple design for a complex subject. So that is this week’s round up. What do you think? What is your favorite here or somewhere else! Let me know!!! !